I have really enjoyed almost everything from Prairie with the sole exception being The Beer that Saved Christmas. 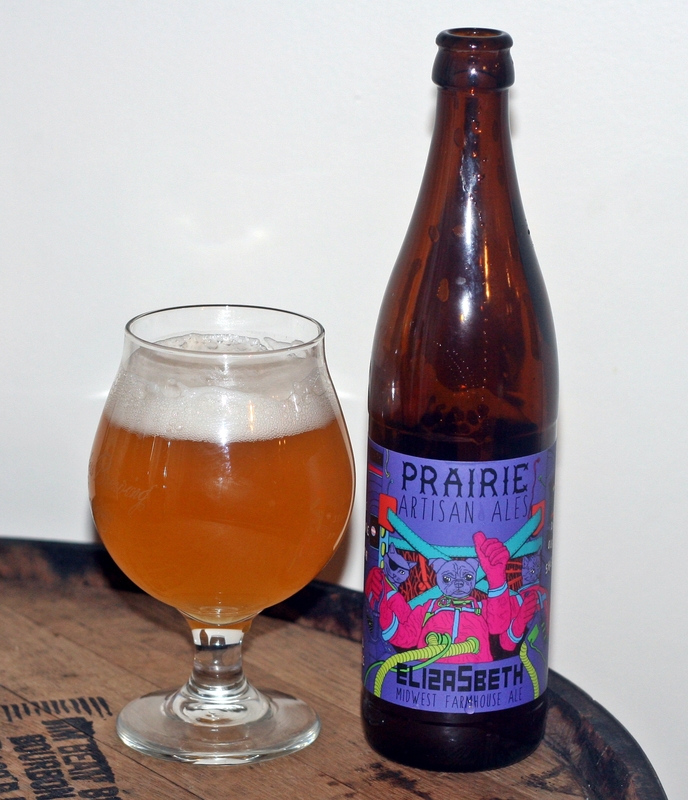 This was a fairly limited release from Prairie that I picked up at Bier Cellar in Portland. One of the reasons I wanted to grab this beer is my oldest daughter’s name is Elisabeth. Eliza5beth pours a pale orange color with a thick bright white head. The aroma was very similar to the prior review of Crooked Stave Vieille with a light funk and some lemon. Taste is kind of sweet to start and has a slightly funky brett finish. The brewer’s says it is brewed with apricot but I’m not sure I have ever had an apricot by itself so not sure what it tastes like. This beer was incredibly easy to drink for a 7.5% ABV beer and is a very approachable brett beer. Brewers Description: Eliza5beth is a golden farmhouse ale that we aged on apricots to allow sourness and light fruit flavors to add complexity to the beer.